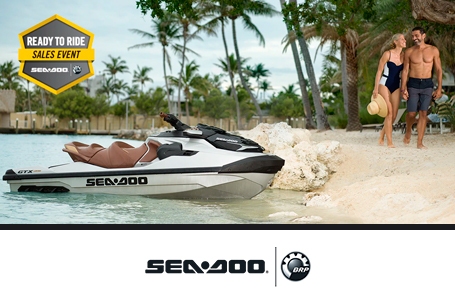 Enjoy exclusive amenities with the Limited package, like watercraft cover, high-performance Variable Trim System (VTS) and cruise control. Plus, get the largest storage space in the category and the proven Intelligent Brake and Reverse (iBR). 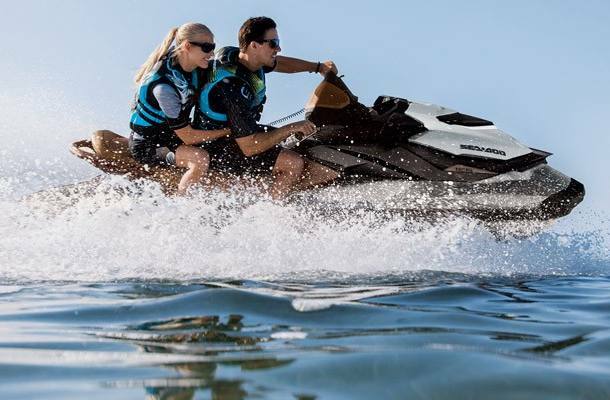 1,494 cc four-stroke, Rotax® with three cylinders in-line and four valves per cylinder: The most powerful, naturally aspirated Rotax engine on a Sea-Doo® offers instant acceleration for instant fun. Tested and proven to be incredibly reliable and fuel-efficient for more than a decade. 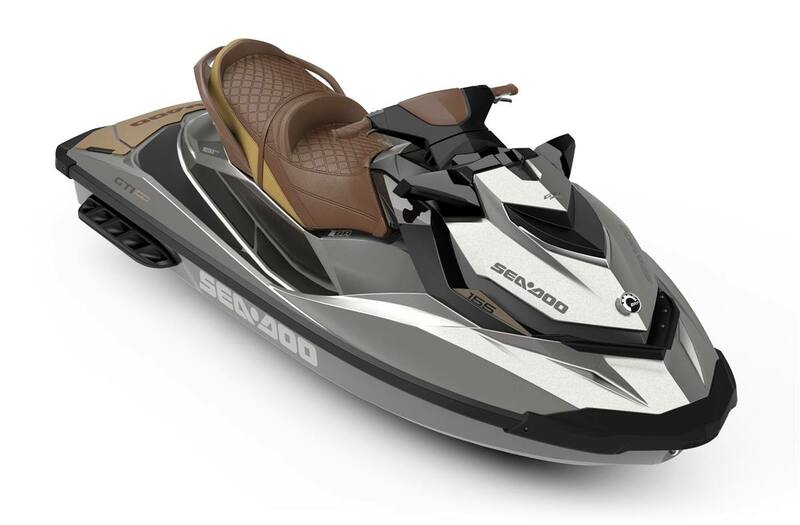 D-Sea-BeI™ system: Combines a series of resonators and vibration-absorbing components to make Sea-Doo watercraft some of the quietest on the water. Ski Tow Eye: For easy and secure attachment of ski rope. Interactive Multifunction Digital Information Center: Fuel consumption instant & average, VTS preset, Fuel level, Tachometer, Speedometer, Touring mode, Sport mode, ECO mode, Hour meter, Compass, Clock, F-N-R indicator and more. High-performance VTS™ (Variable Trim System): The VTS™ adjusts the angle of the nozzle to change the behavior of the watercraft and improve parallelism to the water. The high-performance VTS™ provides handlebar-activated for quick settings. Additional Gauge Functions: Time / Distance to empty, Altitude indicator, Cruise control, Slow mode. Dry Bag: Keeps contents dry and converts to backpack when removed. Safety Equipment Kit: Contains all the essential safety equipment. Watercraft Cover: Protect your PWC.